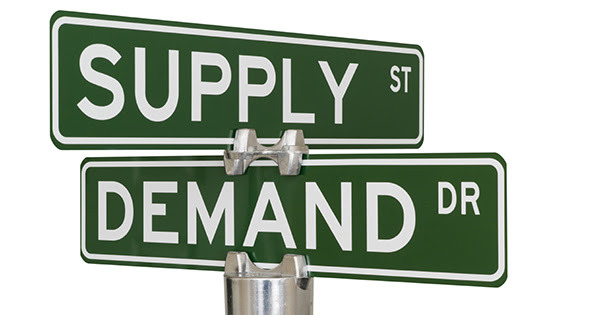 We all realize that the best time to sell anything is when demand is high and the supply of that item is limited. The last two major reports issued by the National Association of Realtors (NAR) revealed information that suggests that now may be the best time to sell your house. LetÃ¢â‚¬â„¢s look at the data covered by the latest Pending Home Sales Report and Existing Home Sales Report. The report announced that pending home sales (homes going into contract) Ã¢â‚¬Å“surgedÃ¢â‚¬Â by 6.1%. The increase was Ã¢â‚¬Å“the largest month-over-month gain since April 2010, when first-time home buyers rushed to sign purchase contracts before a popular tax credit program endedÃ¢â‚¬Â. Lawrence Yun, NARÃ¢â‚¬â„¢s chief economist, expects improving home sales throughout the rest of the year: Ã¢â‚¬Å“Sales should exceed an annual pace of five million homes in some of the upcoming months behind favorable mortgage rates, more inventory and improved job creation.Ã¢â‚¬Â Takeaway:Ã‚Â Demand is beginning to increase dramatically compared to earlier in the year. Ã¢â‚¬Å“Rising inventory bodes well for slower price growth and greater affordability, but the amount of homes for sale is still modestly below a balanced market.Ã¢â‚¬ÂÃ‚Â In real estate, there is a guideline that often applies. When there is less than 6 months inventory available, we are in a sellersÃ¢â‚¬â„¢ market and we will see appreciation. Between 6-7 months is a neutral market where prices will increase at the rate of inflation. More than 7 months inventory means we are in a buyersÃ¢â‚¬â„¢ market and should expect depreciation in home values. As Yun notes, we are currently in a sellersÃ¢â‚¬â„¢ market (prices still increasing) but are headed to a neutral market. “New home construction is still needed to keep prices and housing supply healthy in the long run.Ã¢â‚¬Â As new construction begins to be built, there will be increased downward pressure on the prices of existing homes on the market.